I got a few blocks made yesterday. I worked on the hardest ones, first. I wanted to get them out of the way. My suggestion...Do not use directional fabric for the flower center. The blue block may have been subjected to a seam ripper a time or ten. I think it would look funny if the little petals weren't going in the same direction as the center, so it was worth the effort. But now, I need to set this project aside and get busy with my coin purse for the UR Priceless blog hop! My day to share is November 5th, the first day of the hop, so the procrastination must end now. Very very pretty!! My seam ripper and I are best friends!! Your blocks are quite lovely and I honestly would not have even thought to change the direction of my petals. Such nice work! So I shall look forward to your coin purse blog post. That sounds fun! I need to name my seam ripper! We are very close! Oh the trouble we quilters would be in if not for our hard working seam rippers. Love the blocks and fabric...too sweet. 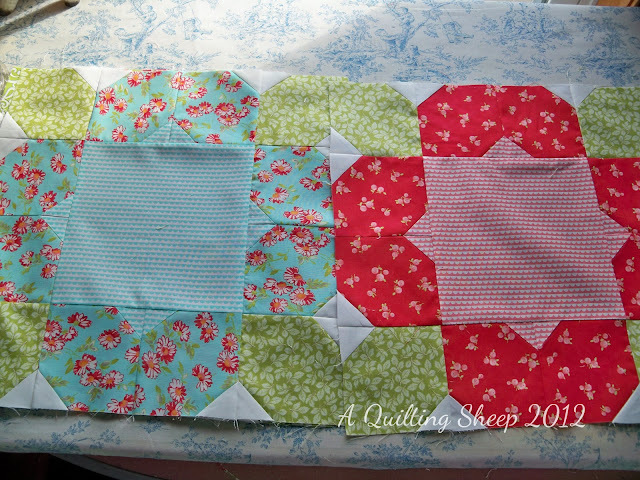 Love the flower blocks! They are so pretty! Directional prints always give me grief, but you're right - it's worth the unpicking and lining up in the end! They look great-I love Ruby. And that coin purse is adorable!! Can't wait to see your coin purse!! so pretty love the blocks! I love the fabrics you are using, they are delicious! 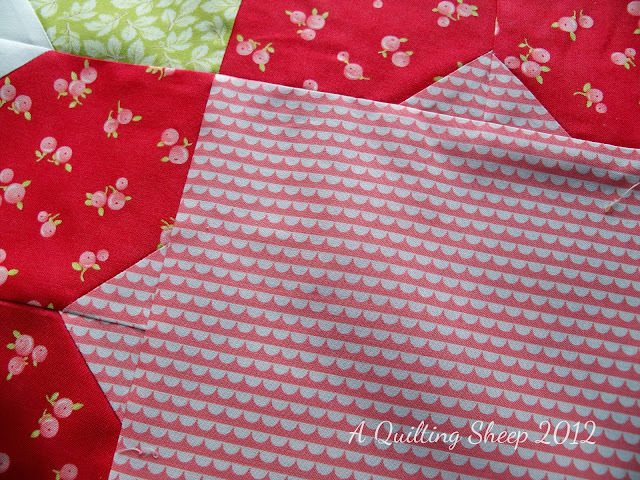 Pretty blocks with your pretty fabric choices. 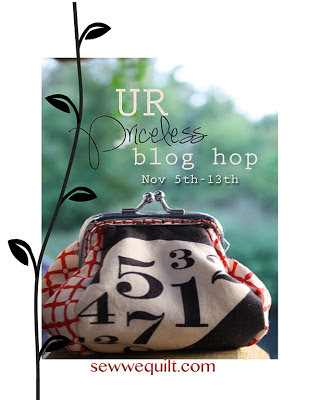 I need to look at this blog hop . . . sounds fun! One of my favorite color combos - aquas & reds! This is a great block.